Win this app January 17th, 2015! 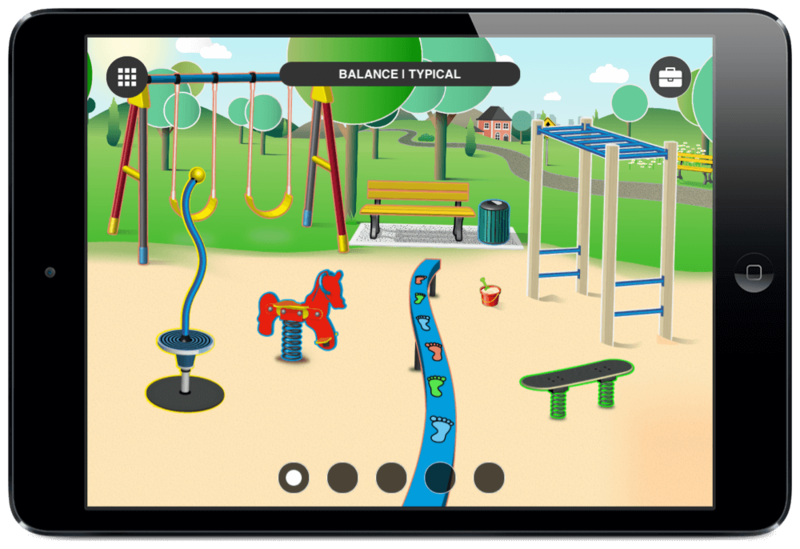 The Autism Discovery Tool app is fantastic for introducing and understanding sensory differences. This simple game and educational tool is easy to understand and well designed. I cannot tell you how many times I have tried to define sensory processing differences to strangers or teachers regarding my son. It is difficult to explain. 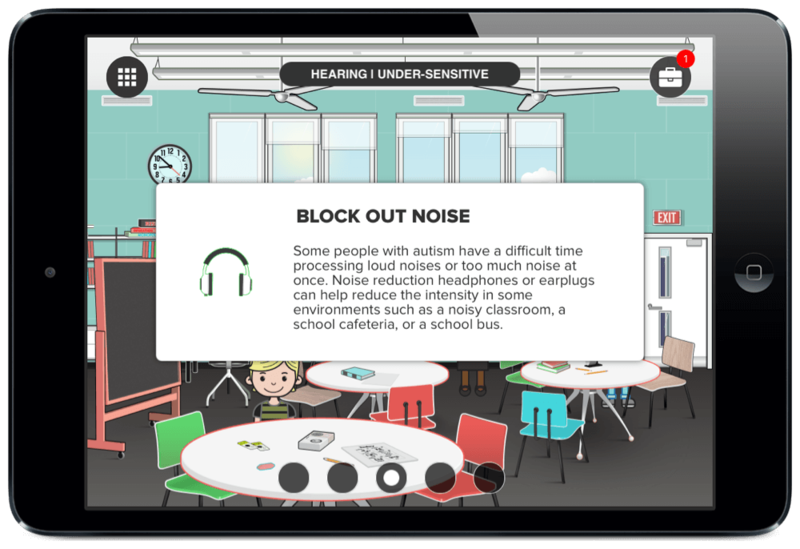 This app is perfect for bringing awareness to the different sensory needs and making the community aware of how to help. 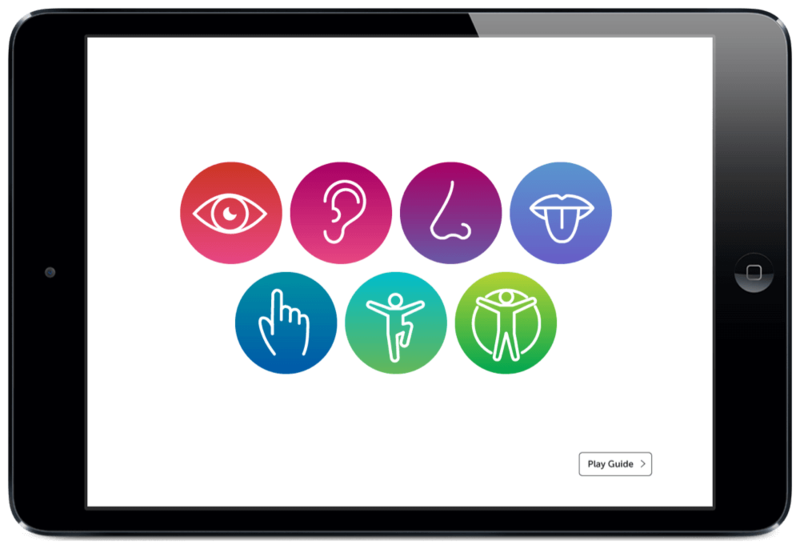 With the Autism Discovery Tool app, you can submerge yourself into 7 different sensory experiences each with contrasting variations that are often felt by kids on the Autism spectrum. This app was created by The Spectrum Idea Lab Inc.. They give a lot of insight into the influence behind the app. It is also important to note that an updated version for the app is coming very soon. When you enter the app, you can first read the play guide found on the bottom right corner. The play guide is a great resource to understand how the app works and how it can be used to help others. As you enter one of the senses, you will notice a room with many objects. These are interactive. You can click on the various objects on the screen. The goal is to find all of the hidden objects to learn more about how it may affect a child with autism. There is a toolbox icon on the upper right corner that will tell you how many more objects you need to find. The activities are very interactive however I would like them to be even more. Seeing some mini activities through out the room might be helpful. I did love that you can try to play mini golf in one room and you can make a smoothie in another. You will see 5 buttons on the bottom of the screen. These will help you to understand typical vs. over-sensitive, under-sensitive, distorted, and enhanced types of sensory differences. I found this fascinating and incredibly helpful when it comes to my own child who struggles with a Sensory Processing Disorder and Autism. I could pick out the different sensory experiences that he has regularly. It helped me to know what he is going through and how to help him. Within each sensory, you also find tips and ideas for supporting a child with different sensory needs. and focused on a certain individuals needs. Overall, I would definitely recommend this app to teachers, community members, parents, and anyone who may be working with a children on the Autism spectrum. Children will also enjoy navigating this app but I see it best suited as a learning aide. It is an excellent tool for community awareness and teaching about sensory differences. Parents, teachers, and peers will gain insight and tips on how to help an individual on the Autism spectrum. Be sure to enter the giveaway found on the Touch Autism Facebook page this week for The Autism Discovery Tool. To learn more, check out the Spectrum Idea Lab Inc. website. to discover a company that is dedicated to developing apps that serve as a creative platform for irresistible STEM learning. Buy the Autism Discovery Tool App in the App Store today! 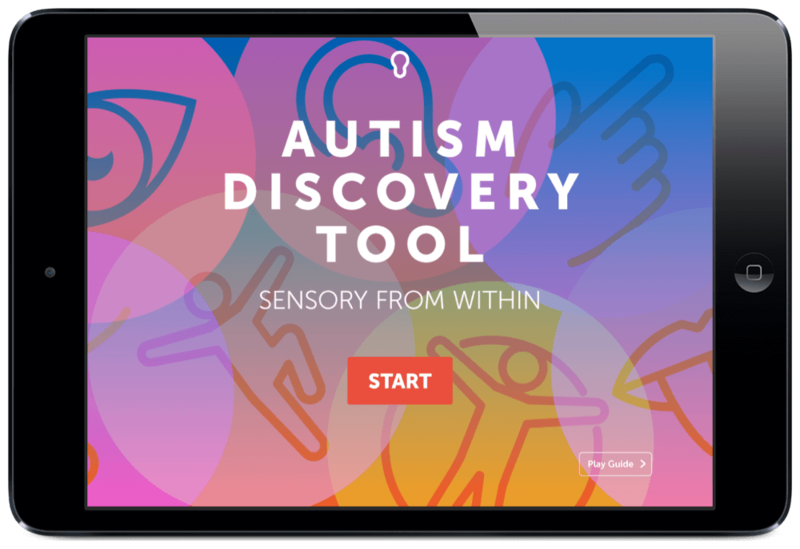 The Autism Discovery Too lets you immerse yourself into 7 sensory experiences each with different variations of sensory differences that are often experienced by kids on the Autism spectrum.